World's finest residence "The Mansions at Acqualina". Ultimate luxury living! Best line with total privacy on a high floor and BEST PRICE!. 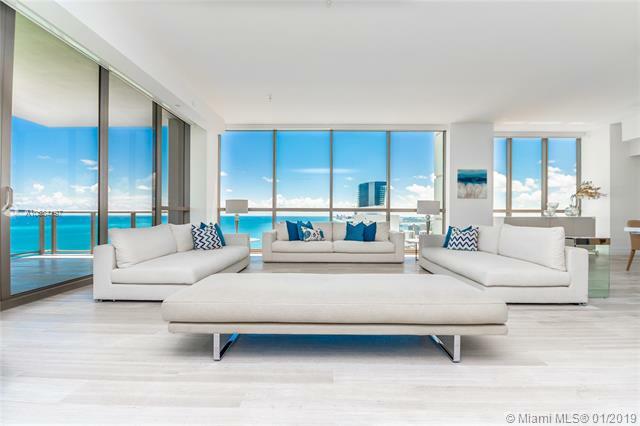 Enjoy breathtaking Ocean and Skyline views, state-of-art kitchen with stone countertops and top of the line Miele appliances, Sunset Terrace with an outdoor summer kitchen with electric gourmet grill and private hot tub with massaging jets and waterfall. Master suite with his and hers master bathrooms with marble floors and onyx countertops, custom designed leather closet system and other luxury fixtures. Mansions lifestyle and entertainment includes Rolls Royce house car, cigar lounge, private cinema, wine cellar, SPA facilities, infinity edge pool overlooking the ocean, children's playroom, Golf simulator room and much moreâ€¦Furniture negotiable!